If you’ve completed a fan translation, please comment or email us! Hi! If you’re interested in translating Gone Home into your native language, or 1337-speak or Esperanto or just rewriting the story as a parody, this document will help you do that! Before we get into the nitty-gritty aspects, though, a warning: Almost all of the story-relevant content in our game is in the text files. Translating it will expose you to all of the story and secrets of the Greenbriars’ lives. For a better experience, I highly recommend playing the game through and discovering all you can before digging in to the text. Now that that’s out of the way, here’s the important information you need! For writing content with non-English characters, you will need a text editor that can save UTF-8 encoded text files. I use Notepad++ for Windows, which works very well. Make sure the encoding in whatever editor you choose is set to UTF-8 so that you can save out non-ASCII characters. Here is a breakdown of the basic information for localizers. After this is a walkthrough of the beginning of a localization that will be helpful to follow as you begin your efforts. Creating a new language is as simple as copying the English.txt file into a new file and saving it as .txt. This language name will be displayed in the Languages menu drop-down. You can then translate each line of the new file, keeping the English text on the left-hand side of the = sign and replacing the text on the right-hand side with your translation. Do not insert extra line breaks; if you need to insert breaks in your text, use the \n newline code. If you wish to change the font your language uses, you will want to find the lines PrimaryFont = PrimaryFont and SecondaryFont = SecondaryFont in the .txt file and replace the right-hand side with the appropriate font name. English.txt: contains all of the UI text in the game, including overlay text for objects and in-world readables (like the note on the front door). Also has entries for the font to use. Journals/: contains one file for each page of written material in the game that is read through the reader interface – so notebook pages, pamphlets, photographs, and similar. 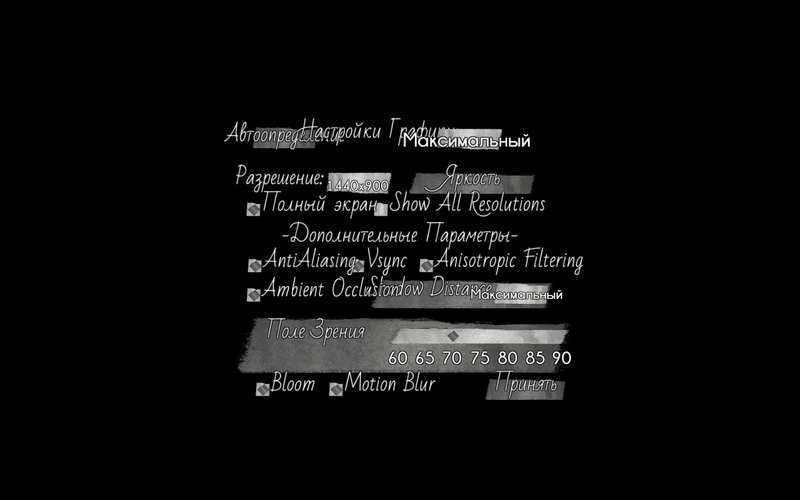 Subtitles/: contains one file for each audio diary in the game, containing subtitle timing information and text. Gone Home ships with several alphabets for use in localization. The default fonts for the game support the English, French, Italian, German, Spanish and Scandinavian alphabets, and should have most special characters available for European translations. The default fonts are named PrimaryFont and SecondaryFont. If you are looking for other characters not covered here, or if you are having problems such as the Cyrillic font being too large for your use, please try using the GreekPrimaryFont, as it includes Cyrillic and a multitude of other character sets. Text areas don’t resize to fit other languages. If you are translating to a language that takes more space than the given English text, you may have to summarize or edit your text to fit the space available in the game. There are a few pieces of text that can’t be localized. These include the control prompts after starting a new game, the “Loading” text on the cassette on the load screen, the “Gone Home” on the title screen, the end credits, and the time and date in the intro sequence. In addition, many non-story-critical objects don’t display text overlays – things like soda cans, pizza boxes, books on bookshelves, and so forth. There may be other bugs as the game hasn’t yet been tested with full translations. Let us know what bugs you find and hopefully we’ll be able to fix them! The first file you will want to deal with is called English.txt. If we open this file in your text editor, we will see that it is in the form = . These strings are all of the UI text in the game, including overlay text for objects and in-world readables (like the note on the front door). We want to select all the text in this document, and copy it to a new document. Save this new document as “.txt”, e.g. Klingon.txt. Now a new language “Klingon” will show up in the drop-down menu in the Languages options menu, but no text will change when we select it. Now if we were to load up the game and select “Klingon” from the menu, we would see these three pieces of text replaced with their Klingon equivalents. ..and now when we switch back to the game, all English characters will have been replaced by Klingon characters! We moved into this house. I’m at a new school. And my big sister being gone for a year doesn’t make it any easier. vIH vaj tuq. jIH legh DuSaQ chu’. ‘ej ‘oH doesn’t tIn be’nI’wI’ chay’pen DIS vay’ Dov’agh. You probably won’t need to alter the timing information, but if you have lines that take significantly longer to read than the original English, you can adjust the StartTime value of the next line, or even add extra lines. After completing all of the Subtitles, the last part of a translation is the Journal files. These are very simple, just a plain text file. We can open something such as “Sam_BirthdayCard_Interior_English.txt”, copy the text, and save the new file as “Sam_BirthdayCard_Interior_Klingon.txt”. Best of luck in your translations. We look forward to seeing all of the languages players are able to enjoy the game in! Second question. Do you guys prefer the translations to fit neatly on the interface even if it sacrifices readability? It’s really hard to truncate Portuguese without making it look and read bad. I tested the full UI and there’s no text overlap and it does not look horrible but some of it does go out of the defined borders. Third. For some reason the translation on some of the map rooms doesn’t stick it’s still in English even though it’s translated in my language file. Eg. Mom and Dad’s Room, Junk Room, Servant’s Quarter. I’ll try different words to see what works. * No there isn’t a guide for where each string appears, but if you have specific questions, email steve@thefullbrightcompany.com about it and I’ll try to find it for you. * I would say, you’re the expert on the language– do what you feel works best for the interface. Readability seems paramount over presentation, since that’s what the translation is all about. * It’s possible that the map labels simply aren’t set to be localized! Which would be a bug on our part. We’d just need to patch that in. I’ll give myself a task to investigate. I will be uploading a playthrough of your game tomorrow at youtube.com/vaulttvpl – apparently I added some additonal translations to the video during the postproduction process, and just now I found your localization guide, thus – from tomorrow I’m starting off with full localization of the game to Polish 🙂 Best regards! I think, the Russian font(RussianPrimaryFont) is too big. Can you reduce it? Sadly it would be difficult to patch at this point, but let us know if it causes any of the text to become unreadable. It looks a bit big, but hopefully still translatable. Oh, that does look bad. We’ll try to patch it. There are some missing strings in journals. I can’t translate some journals’ names. Sorry about this bug. The missing journal names are a mistake on our part. We plan to fix this in our first patch! Hello there! First of all, your game is a masterpiece! Amazing work guys! I can’t even begin to describe my feelings. Secondly, I’m not sure if that’s a stupid question, but can we change Sam’s voice in the journal too? Can i upload a file of me talking in my language and make it play at the times that Sam normally would? P.S: Because i really can’t hold myself: Your game has as much emotion as The Last Of Us and Bioshock Infinite. Yep, it’s up there. But it’s better. Your minimalistic approach, and lack of enemies, puzzles, gameplay etc made it unbelievable that you could deliver such emotion only in a couple of hours. But you did. And that’s true art. Sadly, we cannot support alternate voice files, only text. Thank you so much for your kind words! Yes, absolutely, please continue! We definitely would love for there to be multiple translations for people to choose from! We will post all completed translations that we find on this page. Thank you so much for your work translating the game!!! Oh, and yeah, making a Steam forum thread seemed to work well, or if you have your own blog. Just send us the link! You guys are those who push games to the right direction. That’s what I always respected David Cage for, that’s what I respect you for now. Hope one day we can collaborate to go even further and make the Russian language audio support for this game. Your game is really great and I’m very happy about find localization-friendly game developer finally. I almost finished translate for first core file (English.txt) but It still has a problem. Text is too huge in option and in-game – backpack UI,interaction message and guide message. Can u fix it smaller? It’s free font, so it’s perfectly fine. Or I suggest include from *.fnt or fon format so we can fix it easly. I think it’s pretty hard, but please reconsider it. Thanks for working on the Korean translation! That is really awesome! Sorry about the font size– we will investigate the font you suggested and see what we can do. Thanks again! ZAŹÓŁĆ GĘŚLĄ JAŹŃ – as you can see, “Ł” was not displayed. On an unrelated note, I noticed in one of the texts a spelling error “Ninetendo” – is this deliberate (i.e. author of the message did not know how to spell the foreign name – in which case translator must preserve this mistake) or is it not deliberate on your part? Last question, would you provide context for some obscure text strings? For example: “Awww, Mitten” ? Hi there! We are going to patch the game very soon (hopefully in the next 24-48 hours) and in this patch will be replacing SecondaryFont for something that is more readable. It also appears to have much better versions of the Polish characters, and contain all of them. So look out for that and let us know if it doesn’t work. Mitten is the name of the cat. Katie is saying “awww” as in, she thinks it is cute. For more questions like these, feel free to email me directly! Thanks, at what e-mail address can I reach you? I’m working on the Italian translation, and I almost finished it. Some issues have arisen though. Some characters, as à è ò ù ì È and so on, do not show properly on game, and are being replaced by some little boxes, indicating missing characters. Furthermore subtitles are not working, that is they are not being shown even though they are on in the options. I do not know if the problem is only on my side, but I respected the subtitle format. Can you confirm that the subtitles work as planned? Everything else works nicely. Firstly, we’re patching the game today, so hopefully your missing characters will be fixed. If not, let us know and we will look into it further. Secondly, re: subtitles, that must be an issue on your end. Subtitles do show up in English and other languages. It is likely that your XML formatting or naming of the files isn’t quite correct. Please compare directly against the English files and refer back to the instructions to find what you may have missed. If you have any further issues or questions, feel free to email me directly! The characters not showing up correctly is probably an issue with not using an editor that encodes as UTF-8 (or not having it set up correctly). That may also be causing the problem with subtitles for you. That way users wanting to create a new set won’t have to manually rename every file (or create a batch script to do so), or navigate increasingly large single folders with duplicated files of almost similar name. They could just copy the whole “English” folder and then paste it to create, say, a “Swahili” folder that the game file handler could then detect by checking for folders in Text\Localization instead of checking for Language.txt there, and then jumping down one level for the actual files. Also, the entire copied language folder would work in-game immediately, because all the requisite files will be present even if not all of them have been translated yet – so users could test their work iteratively without worrying about crashes due to missing files not yet cloned and re-suffixed. Obviously I don’t know how you guys have structured your file handlers, so none of that may be possible, but to my mind that would make it easier to work with the files, if it is possible to restructure it in that way. 2. You’ve explained above that you can’t support alternate voice files, and I can understand the technical reasons why that might be the case. That said, if there is any possibility that it could be achieved down the track, I would like to also second Valentina’s comment above, that alternative audio (and perhaps also cue triggering off different object IDs) would be a fantastic feature to perhaps add in some future patch. That could take the possibilities beyond just language localization, and instead open the door to “total conversion” mods, fan fics, even entirely new stories with different, fully voiced characters. Maybe even allow a bitmap replacement for the family portrait to go all the way with that theme! 😉 I for one have some ideas for twists on the official story, such as telling a darker story from the perspective of the parents, and I also would love to discover whatever storytelling artistry the mod community might come up with. Imagine the massive replay value of being able to experience new stories in the same great setting! Please add the Russian language in the game, it is just amazing, I want to get all the fun of the story, will not be so transferred to the atmosphere if I do not understand part of the word, please do so. I very much hope that you will. Great! Is the current version of the Russian translation hosted anywhere yet? We’d love to feature it as soon as it’s available. I have to say, I really enjoyed your game. Becouse of that I’d really like to translate it to Polish, but I see that there is at least 2 guys that already started doing that. Is it still worth it to start translating game on my own? We’d love to have more people translating the game! We will happily post your translation even if it’s not the first one in your language. So go for it! We’d love to see what you come up with! mistakes. Where can I find somone to try out my translation before publishing? I don’t plan to make a translation, just checking out the page as I got some recommendations from various trusted sources about the game. But I do work in customer support for a bigger software company, and so I just wanted to say that I am impressed from your great support for community translations. that’s impressive, just as everything else I heard about this game. I will buy it now, and I wish you great success with it in every aspect. Make a new game. There is no other game like this. Make one like this. One with a new story, and a new environment, but the same kind of game play. It’s incredible and I want to play something else like it. Hello, I’m interested in translating the game to Hungarian. 🙂 Is there anything I need to know besides the location of the text content files? Hopefully all the information you need is right here on this page! If you need clarification on the script, email us! I’m a little concerned about whether the fonts will be able to display some of the accented letters in the Hungarian alphabet that many fonts can’t, specifically the vowels ő and ű (o and u with double acute, respectively). However, I guess we’ll cross that bridge when we come to it. Those should be covered, but email if anything is missing. Sorry dogg! Swapping in local audio files on the fly was more than we were willing to sign up for. But we won’t stop you from just muting the game and reading the subtitles like a pirate in the comfort of your own home. Hey Fullbright folks, since you seem to be good about answering questions here in the comments field I figured I’d give it a go. I’m working on a translation of the game into Swedish right now, and I’ve run into a bit of a problem. You see, verbs have different forms in Swedish depending on the words they relate to, so when translating “added to backpack” I’d need to have two versions and probably a method of denoting which is used for which (as an example, “Key added to backpack” could feasibly be translated as “Nyckel placerad i ryggsäck”, whereas “Journal entry added to backpack” would be “Dagboksinlägg tillagt i ryggsäck”. The verb in this instance is “tillagd / tillagt”; I’m sure you can see what the problem is). Is this possible, or will I simply have to accept that my translation will be grammatically incorrect at times? Thanks for making a fantastic game, I’ve been recommending it to literally everyone I know! Thanks so much for your hard work on the translation! Unfortunately if there is no universal translation for this phrase, it’s going to have to be wrong sometimes. Possibly try formatting a different way? Such as like, “Backpack updated:” or something along those lines? Sorry our system isn’t more flexible! Nothing to apologize for! I fear doing it the way you suggest isn’t possible either, seeing as the name of the object appears in the same line (when you pick something up the game doesn’t just say “added to backpack”, it says “[object] added to backpack”), so using your suggestion would unfortunately only result in “[object] Backpack updated:” unless there’s a way to make the object appear at the end of the string instead of the beginning. Might be possible to do “[object] : backpack updated” though, which will look clumsy but at least readable. But ultimately I think that’s probably worse than just accepting that the grammar will be off for some objects. I’ll keep working on it and see where I end up. Sadly we do not currently have plans to add additional character sets into the game. There MAY be the characters you’re looking for in the English, Greek or Russian character sets? But we don’t have a good way to update our language capabilities further than we already have. Sorry for this! You’re welcome Steve. We will translate this game in Turkish in some way. And then İ hope that see you soon again :)) Thanks for everyting. We are in rate of %70 of Gone Homes’s localization as Turkish localization ! If you agree our idea, we want to announce at our web site and social media that we have started to translate this game officially in Turkish ! May we take your ideas about this ? Go for it! All translations remain unofficial of course (ie we don’t take responsibility for them,) but once the translation is complete we’ll happily link to it from this page and promote it to our players. Cheers, and good luck with the final 30%! Hi I find a chinese localization, and posted on Steam forum already. Fantastic! I’ll post it to the official pages right away. Thank you! First of all, I’d like to say thank you guys for creating this beautiful game. I knew about the game for a while but hadn’t played it until this new year holidays(How silly I was!). I finished the game recently and I found myself filled with emotions that I had almost forgotten its existence. It’s nostalgic, it’s sad, it’s really something. Sam’s dialogues have captured a beauty that only boys/girls at certain ages can have …everything is possible…the sparks of adolescence…the moments we all once had(or could have). I also love the music(somehow it reminds me of U2’s finest pieces). They are in perfect harmony with Sam’s voice and creating a great atmosphere. 1. We understand Todd has a brother. Is he Todd’s big brother or younger brother? We’re pretty sure that he’s a big brother since he lives by himself and can provides Sam and Lonnie a place to crash. Anyway we need to confirm it since in Japanese we need to specify them(older or younger) when we say “brother”. 2. We believe we’ve found all of Sam’s audio logs. But we’ve noticed there’s a text file called “Meow meow, meow” in Subtitles directory. Is this some secret log that you can somehow find in the game? Or is the text simply not used? 3. We’ve noticed no subtitles are displayed when you listen to the answering machine. We think those Lonnie’s messages are very important for the storyline so it’s really pity that people who don’t understand English cannot understand what Lonnie said(without subtitles). Is it possible you can add some strings for subtitles and make them displayed on the screen? 4. We also have a font-size problem. Both Japanese fonts(JapanesePrimaryFont and JapaneseSecondaryFont) are a little too large for certain screens such as Option screen or Map screen. It looks especially bad on Option screen. We’re trying to cut the texts short to make them fit in space but some texts are difficult to make them shorter. Is there any way that we can reduce the font size or use different fonts(ones with narrower space between characters, perhaps)? 5. Is there any way to change font color? In some letters, Sam and Lonnie exchange messages on a paper. While it’s easy to discern the author of each message if you see the original handwritings, it can be a little vague if you just read the overlay texts. It’s not like there’s some critical problem as it is, but we’re thinking changing font colors for Sam and Lonnie respectively might be a benefit for users. I think that’s all for now. Thank you very much for reading this long text! We promise we’ll do our very best to make the best Japanese translation for your game. * Yes, it is Todd’s older brother. * The Meow Meow Meow diary is a hidden easter egg. You can find steps for discovering this easter egg in-game on youtube. But it is simply the word “meow” a lot of times. * We would love to be able to subtitle the answering machine but unfortunately it’s an edge case that we were unable to find a good solution for. We won’t be able to patch in subtitles for that audio. Similarly the TV announcement and records/cassette tapes have no subtitles. Hopefully the repeated use of the name “Sam” and the emotional content of the answering machine messages makes it clear enough. Sorry about that. * I wish we could allow alternate fonts or font sizes, but unfortunately this is another limitation of our localization process. We apologize for the sub-standard support here. Hopefully you can get it to be legible, if ugly. * There actually may be a way to change text color. If you search “[658be1]X[-]” in the English.txt file, you’ll find a place where the letter X is colored blue as an xbox controller bind. The [658be1] is a color designation, and the [-] stops that color from being applied to the contained text. So presumably you could do [658be1]Arbitrary text! [-] to color localized text blue. You could probably experiment with the color code to do other colors as well. Let us know how it works! Thanks for all your work on this, and if you have any more questions feel free to send them straight to steve@thefullbrightcompany.com Ganbatte! Let me tell you that this game was (for me and my wife) one of the best games of 2013. I was excited to see that you were encouraging fan translations to as many languages as possible. I’m a translator myself, and I’ve always wanted to do something like this. A chance to localize an excellent game such as yours into Arabic, especially with a taboo subject that will defy a lot of old traditions that really need to go away. However, I soon encountered two main issues. First, I’m completely new to the field of software localization (although you made it sound somewhat easy with the right tools), and secondly, the game doesn’t seem to be able to show Arabic text correctly. Is it a problem with all right-to-left languages? Is there any way to correct this and also make the letters connect to each other? I’m going to keep my hopes up as I really wanted to challenge myself by trying to translate your excellent writing. Unfortunately we did not include an Arabic font in Gone Home, due to the limitations of the UI system we used. We will look into adding it if and when we patch the game again, but at this point it is unfortunately not a possibility. Our apologies– and thanks so much for playing! Hi, I’ve been working on a Greek translation of your incredible game. I’m finished with translating and am currently making sure everything fits size-wise in-game (Greek has the same ‘huge font size’ problem a few other languages seem to have, but I think I’ve fixed all of the affected areas.). While doing so, I’ve noticed a very weird instance of a line refusing to use the translation provided. The line in question is “These modifiers result in a non-standard experience.\n Modifiers cannot be changed while in-game.” from the modifier screen. I’ve tried changing the Greek text to an entirely different one, as well as to a short English text, but it just looks like the game doesn’t look for a translation for this line and will always use the English one. I’ve been wondering if any other translators had the same problem, or maybe if you can think of something that might be causing this? Thank you for taking the time to read this and I’m sorry to bother you. I’ll hopefully be done with polishing the localization this month and will link it here. I can’t wait for more Greek players to be able to appreciate Gone Home, because it is such an amazing, moving experience! First, thanks so much for all the hard work you’ve put into translating the game! We’re incredibly grateful to everybody who’s gone out of their way to bring Gone Home to more languages for more players. Unfortunately that string you found is just straight up a bug on our part. The line remains untranslated in every fan translation unfortunately. At some point we may patch the game again, and when we do we’ll fix the bug and make that line translate properly. So please just submit your text files with that line translated as it should be, and if/when we patch the game it should just start working. Thanks for your patience, and looking forward to Gone Home in Greek! I will keep the proper Greek translation of the line in the text files and continue testing the rest of the translation. I also really want to thank you for your incredible stance towards fan localizations and for the support you have been giving us through this page! Hi again! I wasn’t sure if it was a better idea to post here or on the Steam thread, so I thought I’d leave a comment here as well. Hi, I’ve done the Traditional Chinese localization for Taiwan region. It is different from Simplified Chinese Package above. I would be my pleasure to dedicate this to you. Really like this game. During my translation work time, I noticed that there is one sentence that couldn’t be done due to it contained “=” itself. It was on line 314: JFK President: US + USSR = Coalition? = JFK President: US + USSR = Coalition? Beside the problem mentioned above, I tried my best to localize your masterpiece. I’m trying to install french translation on Mac OSX 10.9.5 without success : I don’t find the specified directory (Library/Caches/…) where I have to copy the downloaded files, and it doesn’t work even if I create manually the folder path (I tried once the game launched as described). I would like to know if Fullbright Company would allow me to produce transformative works (Reviews, Let’s Plays, etc.) using video footage from “gone home”? Further, does Fullbright Company allow me to monetize the videos? I hope this message finds you doing well and thanks in advance for your response. Hi there! Yes, we’re perfectly happy having people create video content about Gone Home, and monetizing them! Thanks! thank you very much for your quick response. Keep up with your great work. So I got interested with Gone Home (haven’t played yet) from hearing the good reviews and started researching more about Fullbright. I ended up finding out what you guys and ladies are willing to stand for! I have no problem supporting gaming company that isn’t just making game for the sake of making game. Story driven game that gives player time to reflect is something that I look forward to. I believe that game aren’t just a game. It can influence people. So when I see a gaming company willing to delve on matter-of-life/morality that perhaps maybe viewed as controversial that so often overlooked or ignored, I’m all ears. That being said…I bought Gone Home and Tacoma on XBox One. I finished a Danish translation of this beautiful game. If you want to include it here on the official site, you’re more than welcome. Awesome! Thank you for this 🙂 Will add it to the official page as well! Have you done a text search within all of the .txt and .xml files available in the localization folder? If so, and nothing comes up, it’s possible these terms weren’t included as localizable text in the database. it’s part of “Show training Messages” and “Configure Controls”. If you start the game, you get messages about the control of the game, like, “Press Right Mouse or left shift to examine a held object.” This is really ugly, because you see always the english words “Right Mouse” and “left shift”. It seems indeed that these terms aren’t included as localizable text. Can you fix this, please? Ahh, understood– I believe this was a decision made not to have control binds go through the localization stack, so that system would have to be reexamined in a deeper way to make these terms go through loc, which we’re not planning to push further on at this point. Sorry for this limitation and thanks for your understanding!